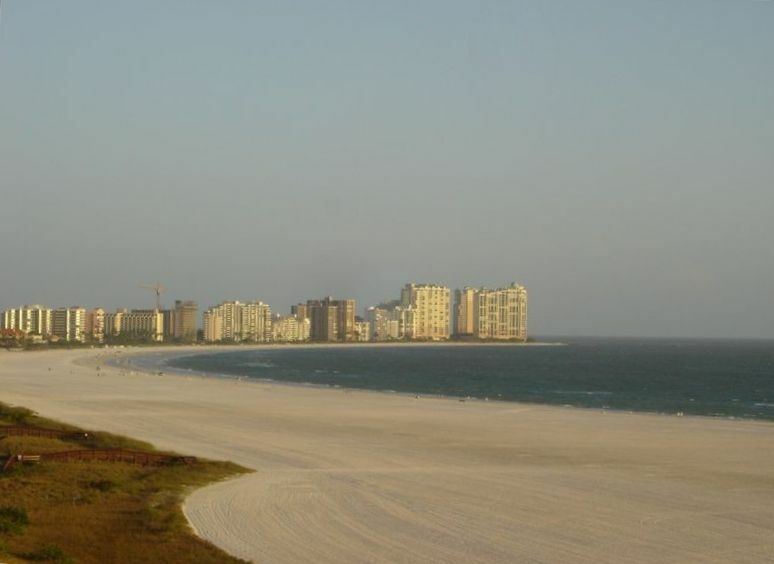 Unit offers breathtaking views of magnificent Crescent Beach and Gulf of Mexico. completely remodeled in 2014, luxuriously finished (granite in kitchen and bathrooms, stainless steel appliances, glass showers, etc. ), tastefully furnished (contemporary italian furniture), 3 Flatscreen TVs and one VCR/DVD, iron and ironing board, microwave, toaster, dishes and silverware, utensils, pots and pans, towels and linens, coffee maker. Extras include beach chairs and umbrella, tables and chairs on the balcony. There is also high speed internet service in the condo, free of charge. Exercise facilities available in the building, and tennis courts in complex. Marco Island has something for everyone. Fishing charters and boat rentals are some of the island favorites. There are numerous golf courses located within fifteen minutes of Marco Island. Tennis courts are available on site in the South Seas Club complex. For the adventurer, water activities such as jet skiing, parasailing, and windsurfing are available within minutes of our condo. Close to Florida Everglades, where one can ride a swamp buggy, airboat, or explore other excursions. There is also an abundance of shopping to choose from in the area from Marco’s quaint shops to the upscale 5th Avenue in Naples. Outlet shopping is available minutes off the island at the Prime Outlet Mall or the Miramar Outlet Mall in Estero. The Naples Philharmonic is famous for its live entertainment and Marco Movies, the island’s Movie Theater, is known for serving dinner, beer and wine, as well as traditional movie food favorites. Marco Island also has an enormous array of restaurants ranging from fine dining to fast food. The numerous waterfront restaurants are local hangouts. Marco Island is the perfect vacation spot for people of all ages. It is a vacationer’s paradise. This beautiful condominium has access to balcony from all three rooms with a great view of the gulf and crescent beach. As you walk out the door of the high-rise, the pool is right in front of you. Just beyond the pool is the boardwalk that leads to the enormous white-sand beaches of Marco Island. No smoking and no pets allowed in unit. Amazing condo with great views. This condo was very clean along with being fully equipped with all the amenities. The owner was super nice and very helpful. We will definitely be staying at this condo again in the future. The condo was as clean as any we have been to. Had everything we needed to have an enjoyable stay. Nady was available for any questions we had and responded quickly when not available. The view from the balcony is awesome. If you love to collect sea shells this is a great beach for it! Neat clean and everything you need right here. Beautiful view and great location. Can walk to restaurants. This property was wonderful and clean. Not crowded with easy parking. The inside of the condo was clean, up to date and beautiful. We could not have asked for anything more for our trip. Has wonderful views of the ocean in the spacious balcony as well. This has everything you need. The owner was very prompt and accommodating. A definite return destination. The Northeast just had the biggest snowstorm of the season. But I'm happily dreaming of our vacation on Marco Island, and our stay at this beautiful condo. It is an exceptional accommodation. The unit is upscale, relaxing, and charming. It's better than a 5-star hotel! The beds are extremely comfortable, especially for tall people like my husband, who enjoyed the spaciousness of the extra large king bed in the master bedroom. I miss the view from the balcony. We'd watch the sunset over the beach as often as we could. The owner is a pleasure to work with throughout the whole rental. He's quick to respond, good at communicating, and his instructions are well-organized and easy to follow. Our stay was flawless from start to finish. We hope to return someday! Listed rates include cleaning fees. There is a $25 Parking/Registration fee payable at building reception desk upon arrival.